Sorry, this is one of the trucks I was not able to get any photos of. This is (obviously) about as loaded as a Ram can get and has a sticker to match. I would like to start off by saying that these types of trucks (along with platinums, denalis, etc) are really not my cup of tea-but it was the only diesel they had and I wanted to get some wheel-time with the diesel. I can say I was somewhat surprised by the get up on this truck. Dont get me wrong-no one is going to confuse this with a mustang, but for a lower HP motor it did a fine job of getting out of its own way (3.55 axle ratio). Fuel economy was better than any of the other trucks I drove, but not dramatically so. It is worth noting that a diesel will get more efficient as it breaks in. This particular truck had the air suspension, and the ride was very good. The functionality of the system is good, and I definitely like that the system load levels. Overall, the ride was smooth and compliant. The quality of the interior is great, and Ram is the best in the business at integrated storage. Cubbies in the doors, a great console, and great backseat storage options. Had all the options you would expect out of a $58k truck, but lags slightly behind an equivalently priced new F150 (for instance, no massaging seats). With all of that said, there is no way I would buy this particular truck. It had a 946lb payload ! This is not specific to this truck either, as my father in law has a laramie longhorn with the hemi and his truck is rated at 930lbs. That is, quite frankly, an embarrassing amount of payload. So, to sum up, motor was a bit surprising but the truck as a whole was disappointing for the price point and nearly useless as an actual truck due to the payload. 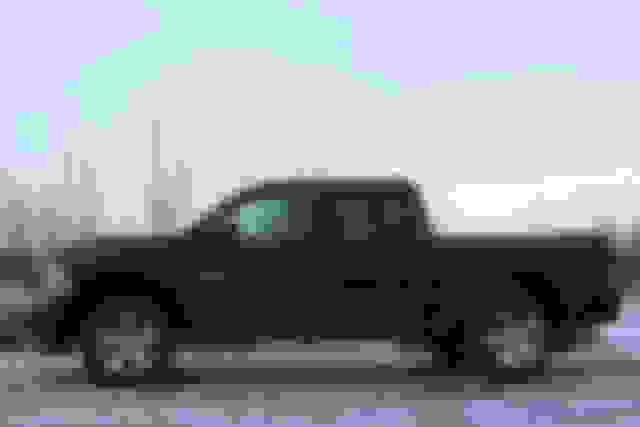 This truck had the 3.92 gears, which is the highest numerical ratio available on a Ram. It had plenty of giddyup, and was able to easily average 20+ on the highway even with the gear ratio. 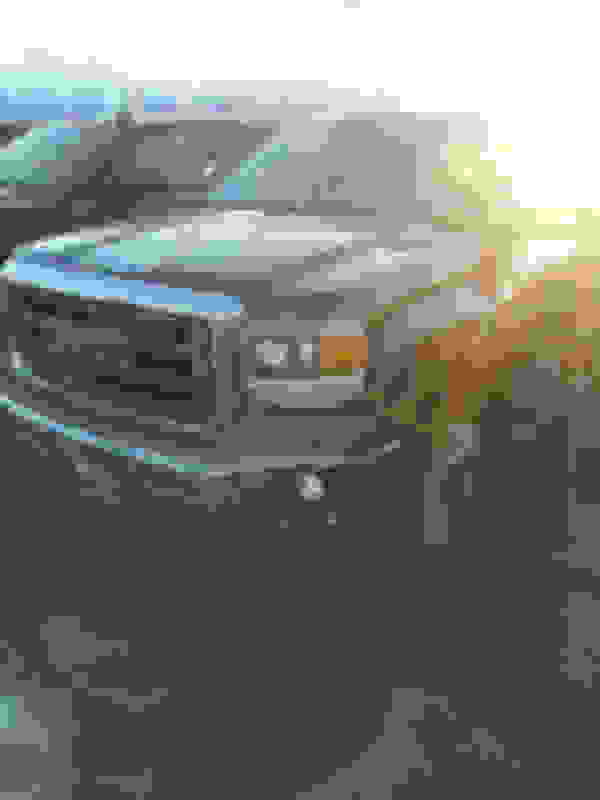 Definitely lots of power, and the Ram 8sp is an excellent transmission that is well tuned. This truck had the coil spring suspension, and it also rode very smooth. This truck also had a very nice interior. In the trucks I have looked at from Ram, so long as you are in a Big horn or above the cabin is a very nice place to be. This particular truck finds a sweet spot in options with niceties like heated steering wheel/seats and keyless entry/start. Ram does a great job with packaging to make some nice features available on lower trim trucks. In terms of payload, this truck is better than the Laramie but still not spectacular. It had a 1336lb payload. That is at the very bottom of my acceptable range, but would work for what I need it to do. To sum up this truck, it is definitely a truck I would buy and I consider it a contender for my money. Very comfortable and a nice combination of features at the price (particular given that the Ram has been out for a couple of years and as such has higher incentives than the all new F150). This truck was equipped with GM's Max Trailering package, which means it has some upgraded mechanical components that lead to higher trailer towing and payload. It is also the only way you can get a 3.73 axle ratio with the 5.3L motor. 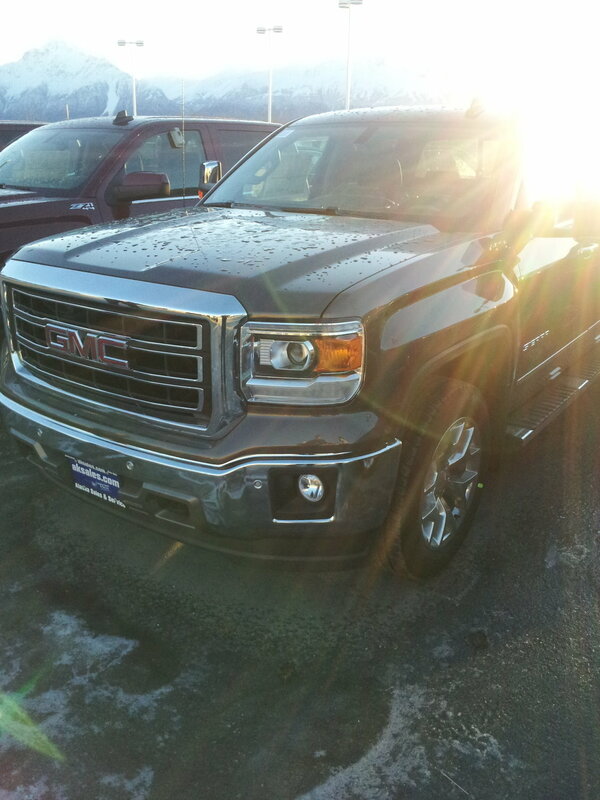 The truck drove alright, but really suffers from GM's throttle response tuning (I.E. you dont get into the power until about 50-75% throttle). But, when you did mash it, it had plenty of guts. The ride was also good, very compliant and no major issues. This surprised me a bit as I anticipated the max TT package to make the ride very stiff-but not so. The interior quality was pretty good, but not knock my socks off good (I would rate the Ram and Lariat F150 better). The off center steering wheel drove me nuts though lol. The steering wheel also had actual metal on it, which was extremely cold (since it is winter here) and I could see it being awful in the summer. I did like the TT mirrors, which were also power folding. For the payload, it was very impressive-1853lbs. Plenty to be able to do anything that I could ever want to do with it. It is worth noting that while an SLT is a high trim vehicle, this one didnt have a ton of options (no sunroof, for instance). As such, if it had some of the same options that the other trucks did I would expect payload to drop down to 1650-1700lbs. Still impressive. As a whole, the truck is plenty capable and certainly nice, but I am not really interested in it-cant quite put my finger on it. Its just not "me". Its worth noting that this truck was colored in what the salesman affectionately called "stay around brown", which made me laugh cause it really was an ugly color lol. This truck had the 3.31 gears, so unfortunately it wasnt geared the way I wanted but still gave me an opportunity to get behind the wheel of a 5.0. Definitely more peppy than the previous 5.0 F150 I have owned, and compared favorably to the Hemi. Overall, I liked it. The ride on this truck was also very good, seemed less jittery than my 13 F150. The interior of this truck was IMPRESSIVE. Not because it was the nicest of the 5 trucks (it wasnt), but because for a mid-level XLT it felt comfortable and well built. the seats definitely felt much better than the previous generation and were very comfortable. Massive improvement over the previous generation XLT's. Payload was also fantastic, with 1959lbs . More than I would ever use. As a whole, it was a very nice truck. I wouldnt buy this exact truck (I want heated seats), but it definitely makes me feel good about an XLT lux package. I was very impressed and surprised. On this one, the review is going to be a bit more brief. The dealer has since sold the truck, so I dont have a window sticker for you. But I can tell you that the truck had virtually every option available for a Lariat. 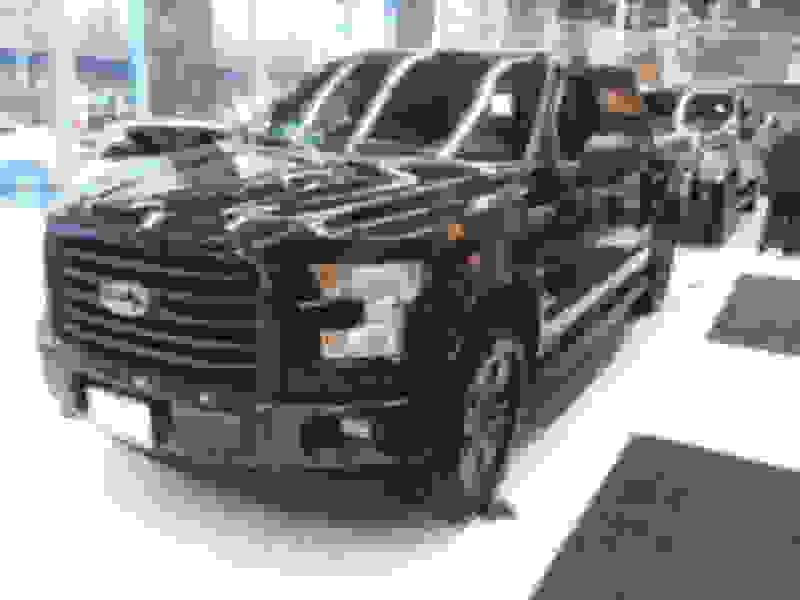 I wasnt able to take the truck for a test drive, as it was on the showroom floor and was the only truck they had (so they werent interested in taking it out). I can give my impressions of the interior, and I was very impressed. The new sunroof is awesome (of course), and the seats were very comfy. The center console is significantly larger than my old 2013, and the glovebox has more usable space. Everything seemed soft touch, and the materials were very nice. I did look at the payload sticker, and it was a disappointing 1460lbs. However, it is worth mentioning again that this truck was LOADED, including heavy options like the massive sunroof and the power retracting running boards. As a whole, the truck was very nice. According to my fiance, I was "grinning like a little kid" while I was sitting in it. However, I would not buy this truck as it has a ton of options I dont want, and the consequential lack of payload and hefty price. I would consider a lesser optioned Lariat though. I am now to the point where I am likely going to let price help me make the final decision. While I really like the new F150, it cant be ignored that Ram are cheaper to start with and have higher incentives on them. Hope this helps/is informative for other individuals who are cross shopping. Now I just have to make a decision lol. I agree, the f150's have nicer trim,features,capacities when compared to similar model of another brand but the incentives on the other brands are alot better and can tip the scale. Money always talks its just a matter of how much savings are needed for each brand to win a consumers business. Just a quickie comment on XLT seating...heated seats are available. Yeah absolutely-just making the point that I wouldnt buy that particular truck since it didnt have them. As far as I know, there are only 3 2015's in the state right now-so not tons of trucks to cross shop. For the most part I agree with you but there are a couple of places where I think Ram's are better equipped. For instance, on the Big Horn package you can get a well optioned truck for about 46-47k with heated seats/steering wheel, sunroof, etc. A comparable XLT will run you about $50-52k. The sport package also lets you get a few fun things like push button start. Its all a matter of what is important to you and what your price point is. Awesome reviews. You could work for a car magazine! Im surprised at the payload capacity of the ram sport. I thought all of the coil sprung crew cab rams were around 900-1100 lbs. I rent pickup trucks quite a bit when I travel for work. The hemi in the Ram is very impressive for power and fuel economy. Better in both areas compared with my 2013 5.0 with 3:55 gears. I have also rented the new Chevy. Not all that impressive. Interior is ok and engine is average at best. Thank you for the compliment. As far as the payload item, its all in how you option them. You have to be careful what (and how many) options you ad onto a ram, because the payload can plummet quickly. For instance, I think the Rambox is an awesome feature, but is also a 200lb option. On a truck that doesnt have a high starting payload, taking 200lbs off can be brutal. For comparison, the lowest payload I have seen on a new F150 (internet or otherwise) is the lariat I looked at-1460lbs. And that was a gonzo loaded truck. I am convinced that the problem with the GM twins is throttle tuning-hopefully they get better when the 10sp goes into their trucks. I am sure they intentionally tuned that way to get those impressive EPA economy ratings.